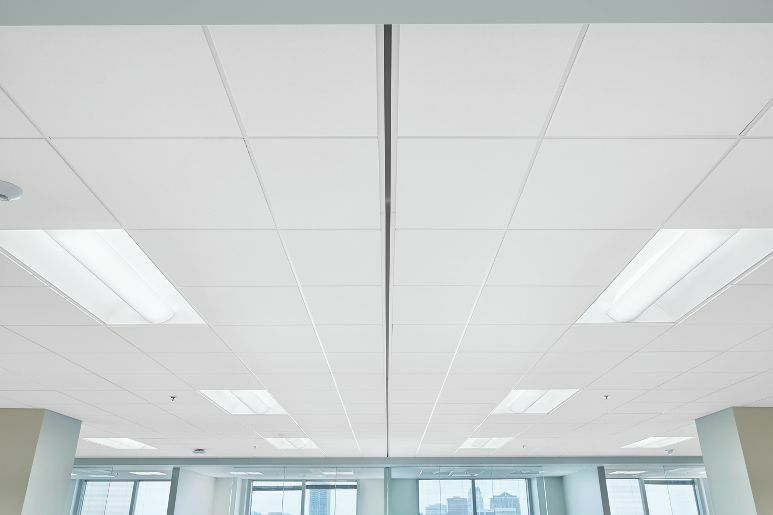 Suspended ceiling tiles from Pure Office Solutions Ltd will help you save on your energy costs, improve acoustics, and help you keep your environment safe and hygienic. However our other services include ceiling tiles and suspended and false ceiling. We provide all types of ceiling materials for your new ceiling. A different type of ceiling can offer a different atmosphere. We offer a wide variety of ceiling types including plasterboard ceiling, coffered ceiling, drop ceiling, wood ceiling, acoustic ceiling, floating ceiling, metal ceiling, lowered ceiling, office ceiling, drop down ceiling, suspended (plasterboard) ceiling, gypsum ceiling, tongue and groove ceiling and acoustic drop ceiling. As well as ceiling tiles we also provide services which include installing ceiling panels. Our ceiling panel range includes wood ceiling panels, acoustic ceiling panels, office ceiling panels, drop ceiling panels, false ceiling panels, insulated ceiling panels and floating ceiling panels. It depends on what type of ceiling you want as to what ceiling panel is installed. Metal channels are formed in the shape of an upside down ‘T’ which is usually finished with a white paint to match the ceiling tiles in the situ. The ‘T’ bars are supported at various intervals by a suspension mechanism, usually galvanised wire. The ceiling is usually supported around the perimeter by an ‘L’ shaped metal section. This is referred to as an edge trim. As another part of our service at Pure Office Solutions we are able to install lighting. A certain lighting can change the mood and/or setting of a certain area or room. We stock and install suspended ceiling lights, office ceiling lights, false ceiling lights, LED office ceiling lights and drop ceiling lighting. We have the know-how and the experience to supply and install the right ceiling for you. Whether you want to make a statement or just freshen up the look of your office interior, let us take the stress out of making the right choice. Ceiling tiles or panels are lightweight square tiles that are dropped into the lattice grid of a ceiling system. The smooth and white surface meets today's trends for cleaner finishes whilst maximising light reflectance. False ceiling is situated below the roof slab on suspended supports. The false ceiling is usually provided for temperature control (heat insulation for air conditioning), to reduce the ceiling height, install lights, or to conceal electrical and other untidy networking cables. Provides a smooth homogeneous surface to the roof. Conceals all the pipelines and electrical cables running in the room as well as all the ducts of air conditioning can be hidden. A suspended ceiling system is a considered as a secondary ceiling that is used in almost all industrial and commercial buildings such as schools, hospitals and offices. The main use of this type of ceiling is to hide wiring, ductwork and piping. 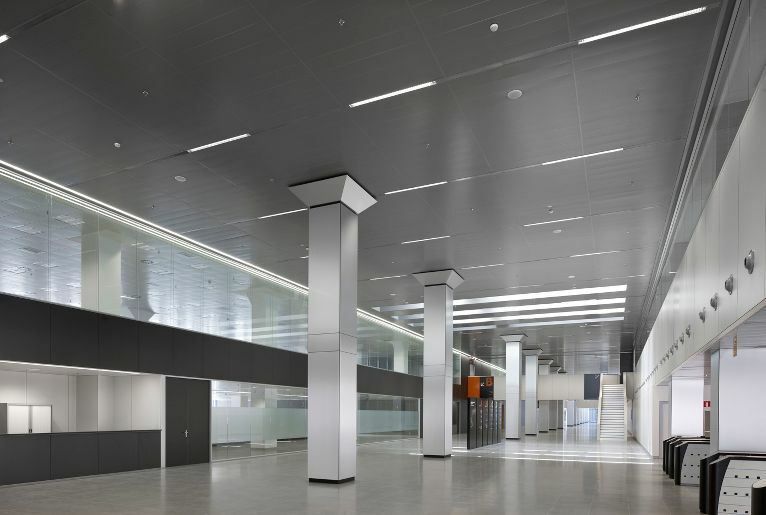 Each tile uses a grid of wire suspended metal channels (shaped like an upside-down “T”) that snap together to create a lattice pattern of cells which fit the ceiling tiles. They can also help with reducing sound and with minimising thermal loss from your room.